Be aware of your limit. Do not drink to the extent that your stomach can’t tolerate it and stop drinking once you’ve reached your limit. Drink water in between. Alternate alcoholic beverage and a glass of water during the session. 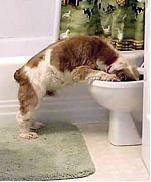 Moreover, drinking water will avoid dehydration and potential hangover. Do not drink at all. This sounds hard, but if you must then try eating a lot before drinking alcohol. The food will absorb the alcohol thus you’re unlikely to puke. Avoid mixing drinks. If you prefer beer then stick with beer as mixing can upset your stomach more. Get some fresh air and cool yourself off to make yourself feel better. If you still feel nauseous in the morning, opt for an over-the-counter medicine that can aid in your condition such as Emetrol. 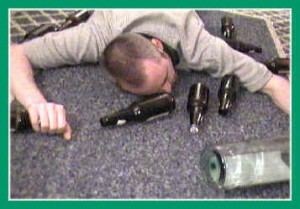 Finally, the rule when out drinking is to moderate your consumption below the point where vomiting can occur and the chances of puking your guts out will never occur. Good luck!